Throughout her career, Lindy has consistently expanded upon her strengths, and taken time to realize her weaknesses. She lives her passions daily, and by letting go of the tasks at which she is less skilled, she embodies the lessons she imparts by living a purposeful, joyful life. In doing so, she brings her support of small business full circle. Lindy challenges you to think outside the box. With lessons you can apply to life and business, she will guide you to a well-designed, balanced life. 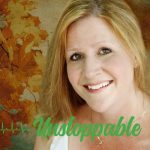 Are you ready to be UNSTOPPABLE? Nothing but Crossroads. Which Way Should I Turn? Business Goals: Customized Websites. How They Work and Why They Convert.